You know what is even better than an edge to edge display? Symmetry. People want the biggest screen they can have in the smallest body they can have, and to get there as quickly as possible manufacturers have started making phones with notches in the top of the display. The people who tell you notches are the future and you should just get used to it are wrong, and they should feel bad. This design is temporary, until display makers figure out an inexpensive way to hide the front-facing camera and sensors under the display without impacting quality. It’s unlikely this trend is going to last more than a generation or two, so you might as well skip it if you can. Not every manufacturer forces you to use a notch. These are the phones you want to look at if you’d rather avoid this situation entirely. For all intents and purposes, Samsung was the first major smartphone manufacturer to approach the whole “bezel-free” design with its curved Infinity Displays. These phones have been giving the appearance of a display which melted off the side of the phone for several generations now, but in exchange, you get a little forehead and chin to hold all of the necessary sensors and buttons for the front of your phone. There’s no denying these phones look nice, are practical to use, and Samsung makes the Galaxy S9 in standard and plus sizes, so you can have your choice of how much screen you want in your hand. Most important, these are great phones. 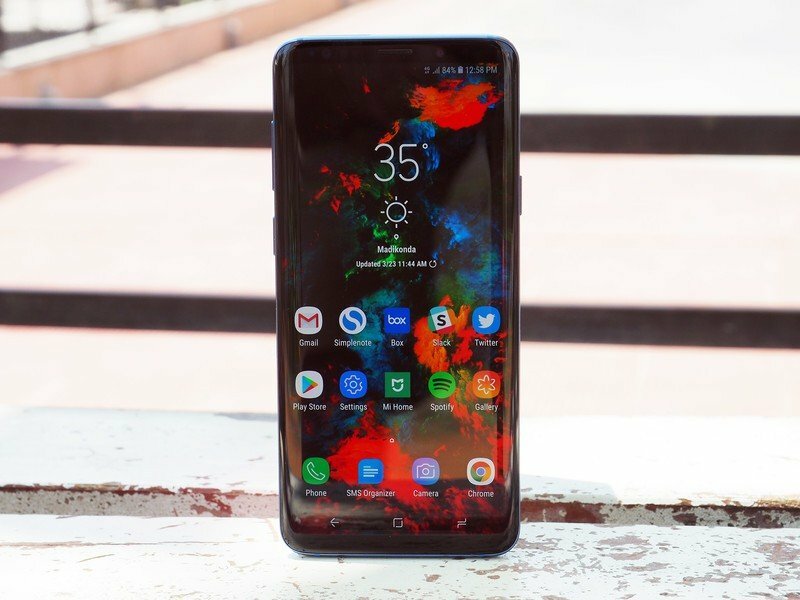 In fact, even with its unsightly forehead and chin, the Galaxy S9+ remains our top pick as the best Android phone you can buy today. Outside of the work Samsung has done in making the Infinity Display a perfect answer for why we don’t need notches in our phones to make them feel bigger, the Galaxy S9+ is a beautiful, well-made phone. The camera is outstanding in every situation, the phone charges quickly through USB-C or wireless power. The headphone jack exists, but also delivers quality audio even if your headphones aren’t the best. This is a fantastic all-around phone, something that can be picked up by truly anyone and enjoyed. But ultimately it does come down to the display. More important than the decision to keep the forehead and chin, Samsung’s displays are among the highest quality in a phone you can buy today. The panel on the Galaxy S9 gets brighter than any other phone, the colors are vibrant, and the included Blue Filter mode makes it a lot more eye-friendly when using it at night. When you put all of this together, the Galaxy S9 becomes an obvious top choice for just about everyone. This phone comes in two different sizes, standard and XL, and they look very different from one another. The standard Pixel 2 has great big bezels on the top and bottom, looking almost like a phone from a previous generation. 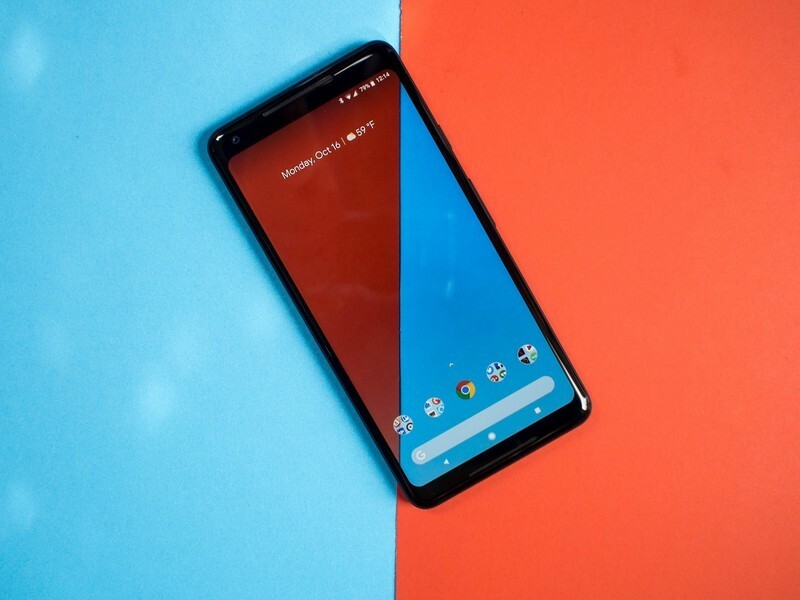 The Pixel 2 XL has a more modern design with a taller display and much smaller bezels, but still, a noticeable forehead and chin compared to some of its notch-laden competition. Where most manufacturers have opted to move phone speakers from the front of the phone to the bottom, Google’s Pixel phones exist as one of the few left where you can get quality audio pointed right at your face when you’re listening to music or watching a video. No need to cup your hand to point the audio at you, and no concern that you’ll be covering the speaker when playing a game. The trade-off for this design choice, obviously, is you have speakers on the front of your phone instead of that all-display experience. While it will soon be possible to hide sensors under the display, you can’t really do the same with speakers. Not only do you get a quality speaker situation with these phones, Google’s Pixel 2 series is where you want to be for the best of Android software straight from Google with the latest features as soon as they are announced. On top of that, these phones are packing some of the best cameras in any phone ever, so you’re guaranteed to have a blast no matter which one you go with. If your friends are going to mock you for having an old-school phone just because it doesn’t have a notch, you might as well go all the way back to the classic and enjoy BlackBerry’s latest creation, the KEY2. 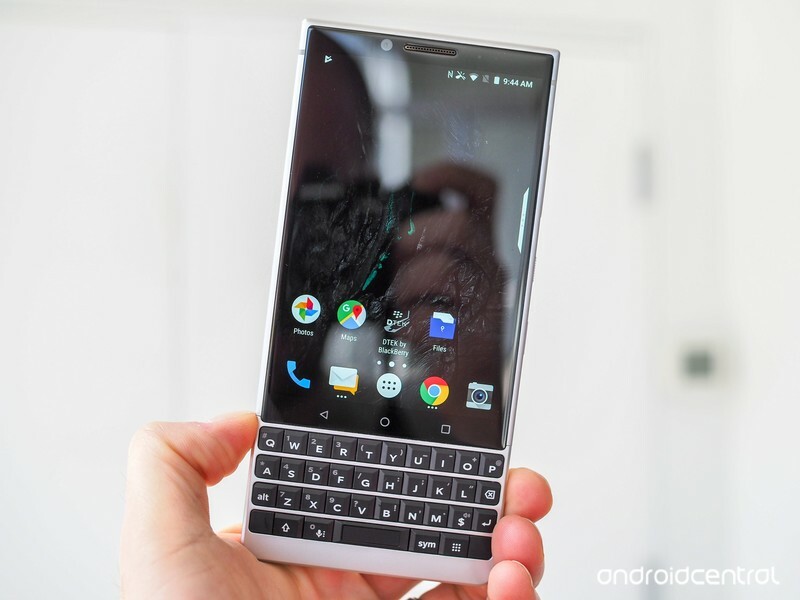 Not only does it have a decent 4.5-inch display with the sensors hidden in the bezel instead interrupting the display, the physical keyboard has made a comeback and it is incredibly fun to use. BlackBerry has done an amazing job making Android work well with some of the classic BlackBerry software tricks, including top of the line security and ridiculously good battery life. It’s certainly not a phone for everyone, but the BlackBerry KEY2 is a stellar phone with all of the classic features. It used to be a guarantee that a phone would have a headphone jack, expandable storage, and a quality keyboard. Now we’re leaning on something with an almost retro charm to it in order to have all of these experiences in one place. Few companies have done as many clever things with phone displays as Motorola, and it has thankfully avoided the notch so far in all of its phones. Instead, you get the unmatched quality of Moto Display, the always-on experience with tons of information at your fingertips without ever needing to fully wake your phone. There really is nothing else quite like the experience Moto puts on its phones today, and it works without a funky display shape to seem more futuristic. What really sets Motorola apart from the rest is its G series. 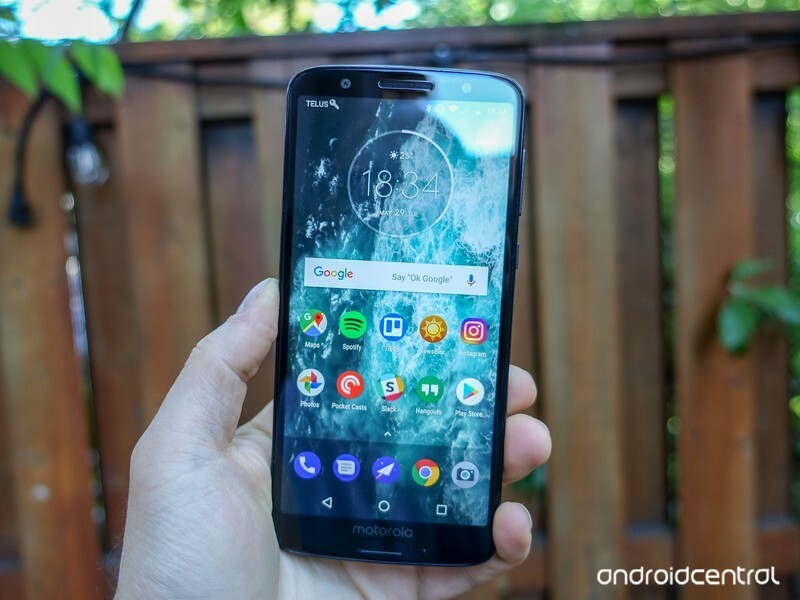 The Moto G6 is an amazing phone at any price, but it just so happens that its price is $250. This makes a great budget phone, or first phone, or even a backup phone. Any way you want to use it, Motorola’s software is going to be a pleasure to use. There are many phones on the market today free of the scourge of notch. From the Galaxy S9+ to the Pixel 2 XL to the BlackBerry KEY2 and Moto G6, there’s a notch-free phone for everyone. Does it matter whether your phone has a notch? Well, that’s up to you to decide. It matters to some people, and that’s all that matters to us.